Last month, Gigabyte unleashed their Gigabyte GTX 970 Mini-ITX graphics card, and I was thinking back then that other companies will surely reveal their own mini ITX variant as well. 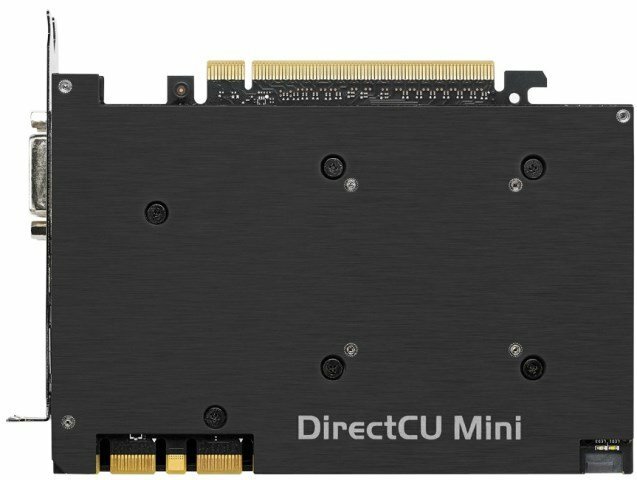 Just recently, Asus revealed their Asus GeForce GTX 970 DirectCU Mini-ITX (GTX970-DCMOC-4GD5) graphics card. It looks very similar with the previous GTX 760 DC Mini and GTX 670 DC Mini. Just like its bigger brother, the Asus Strix GTX 970, the GTX 970 Mini-ITX features 1664 CUDA cores, 4GB GDDR5 memory clocked at 7010 MHz (effective) running on a 256-bit memory interface, but it has a tad lower GPU clock speeds. Check out the rest of its features and specifications below. 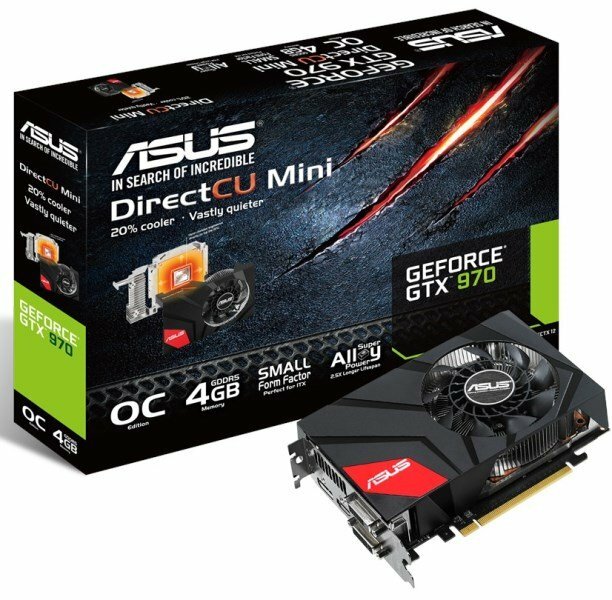 The Asus GeForce GTX 970 DC Mini ITX (GTX970-DCMOC-4GD5) features 1664 CUDA cores with a base clock of 1088MHz and boost clock speed of 1228MHz. It has 4GB GDDR5 memory clocked at 7010MHz effective and runs on 256-bit memory interface, pretty much the same with the STRIX GTX 970 when it comes to memory. It’s only 17cm in length and it features a DirectCU Mini with vapor chamber as its cooler. As you can see from the pictures, it features a CoolTech fan which we normally see on Asus’ high end graphics cards. It’s also built with premium Super Alloy Power for enhanced durability and cooling. In terms of connectivity, the Asus GTX 970 Mini ITX seems to be lacking some ports, unlike most GTX 970 out there. And just like the STRIX GTX 970, it has only two DVI ports, one HDMI and one DisplayPort. But it has a backplate support which is very unusual for a mini-ITX graphics card. Finally it draws power from one 8-pin PCIE power connector. There’s not much to tell about this graphics card at the moment. The only thing left to know are its benchmark results. This would be good news for mini ITX or SFF builders since they have more options to choose from. Below are the rest of the specifications of the GTX970-DCMOC-4GD5. Note • To have the best cooling performance, ASUS GTX970-DCMOC-4GD5 extends the fansink to 2 slots. Please double check you Chassis and Motherboard dimension prior to purchase to make sure it fits in your system! 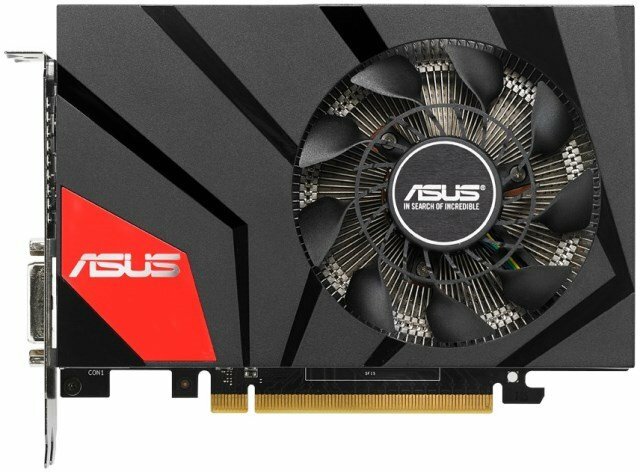 As of today, Asus hasn’t disclosed the manufacturer’s suggested retail price of their GeForce GTX 970 DC Mini-ITX. 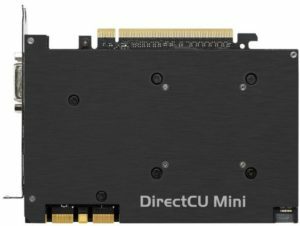 I’m guessing that it would be priced competitively with Gigabyte’s GTX 970 Mini ITX which is currently available for $339.90 here. 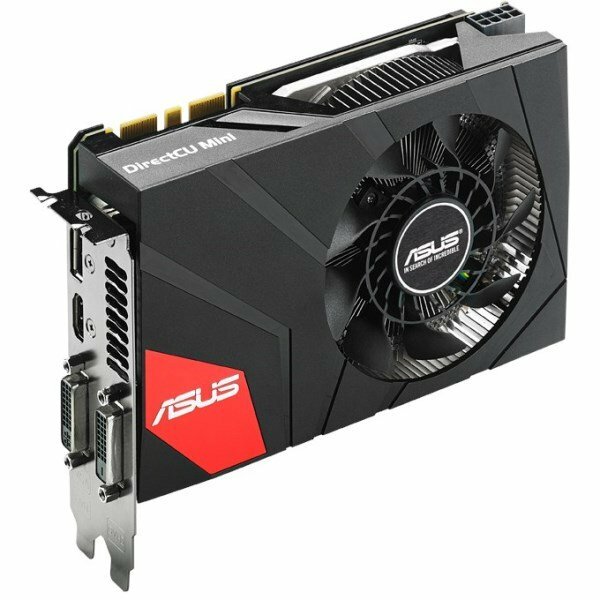 For UK visitors you can check out the Gigabyte GTX 970 Mini ITX OC here, and the Asus STRIX GTX 970 here.